I don’t remember my childhood teds. But my sons had lots of teddies and they won a great big bear once. He was so big, they used to jump up and down on him before hugging him! 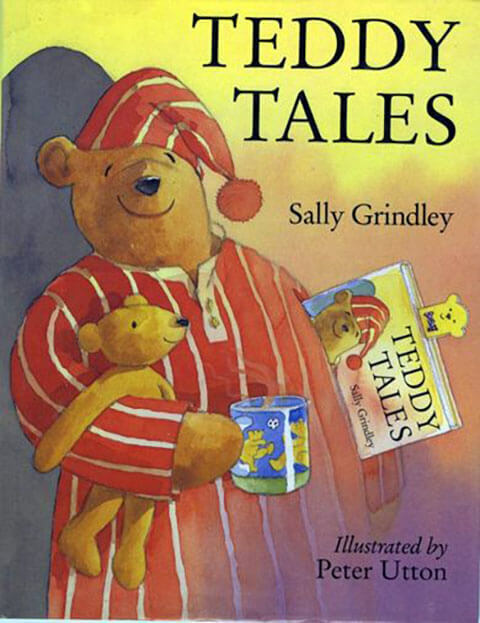 That’s where the idea for Too Big Bear came from. Then I saw a bear wearing wellies in a shop window and I thought that a bear wearing wellies would like nothing better than to jump in puddles. 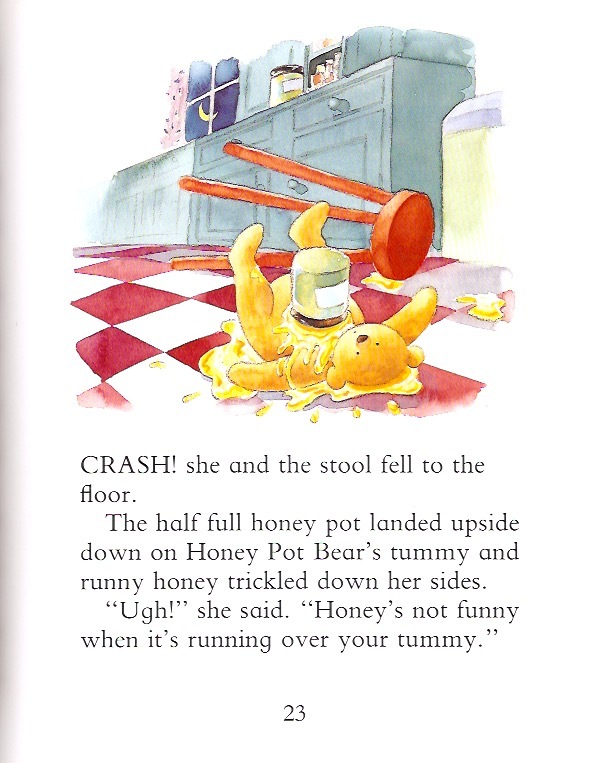 That’s where the idea for Wellie Bear came from. 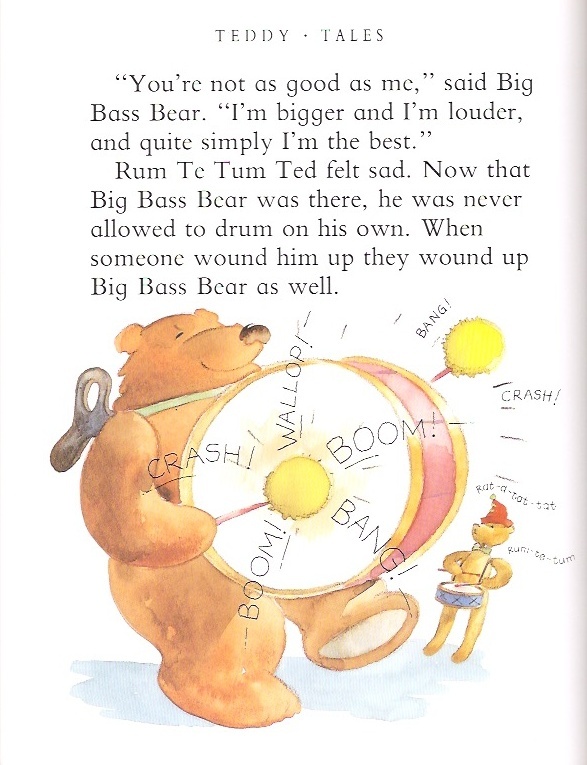 Other teds appeared little by little and found their way into this collection, including Pocket Bear, The Ragged Bears and Rum Te Tum Ted, and then Peter Utton brought them to life with his fabulous illustrations.